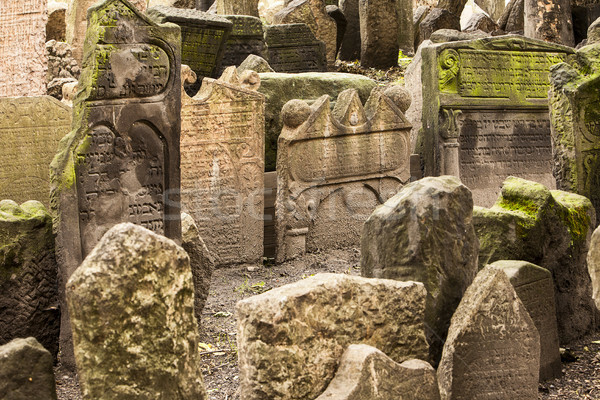 Foto stock: Histórico · cemitério · Praga · velho · seção · juntos / Old gravestones in the historic Jewish Cemetery in the Josefov section of Prague. The headstones are clustered closely together and show their age with the green moss and tilting due to settling over the centuries. Online desde April 28, 2013.